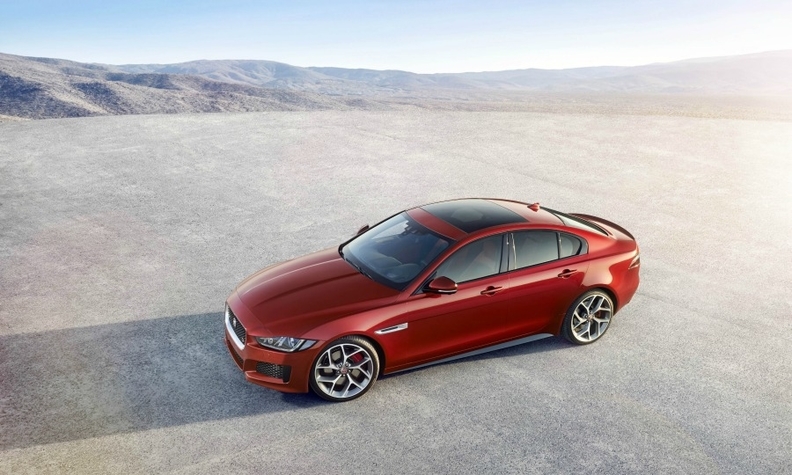 The XE is Jaguar's first contender in the premium midsize segment market since 2009. LONDON – Jaguar’s new XE will be the brand’s first model made in China, a Jaguar Land Rover executive told Automotive News Europe. The midsize premium sedan will be built alongside the Range Rover Evoque and Land Rover Discovery Sport premium SUVs at the automaker’s new plant in Changshu, JLR global fleet director Ken Forbes said. He declined to say when XE production would begin. JLR started making the Evoque at its joint plant with China’s Chery Automobile in October. A Jaguar spokesman told Automotive News Europe Monday that no official decision had been made on which model it would make in China first. Adding production in China is part of Jaguar’s ambitious expansion plans that include the launch of at least three all-new or heavily revised models by 2016. European sales of the XE start in May followed later in the year by the arrival the new-generation XF large premium sedan with a midsized crossover due in in 2016. All three models will be underpinned by Jaguar Land Rover’s new aluminum platform. Analysts predict the new cars will increase Jaguar’s global sales to almost 200,000 by 2017 from a forecast of 80,000 for 2014. Jaguar expects 2014 China sales to be about 20,000 cars, which is less than one-fifth of total JLR sales in the country. Jaguar’s volume in the world’s largest car market is expected to get a big boost from the XE. “Our spearhead vehicle for China is the XE and we think it could make significant inroads -- it's inevitable that's going to be case,” JLR Sales Operations Director Andy Goss told Automotive News Europe. Jaguar hasn’t confirmed whether it will build a long-wheelbase XE variant, which would rival models such as the stretched BMW 3 series. Customers in China favor vehicles with roomier interiors, especially for rear-seat passengers. JLR’s China plant is forecast to reach its 130,000 capacity by 2016, the company has said. The automaker will add an engine plant in 2015. With both facilities running the XE would become the first Jaguar to be fully assembled outside the UK. The brand currently assembles Jaguars from kits at its factory in Pune, India. The company, owned by India’s Tata Motors, has said it wants to double combined Jaguar and Land Rover sales to 850,000 by 2020 and is expanding its production base to accommodate the extra growth. In 2016 JLR will start production in Brazil at a new factory with a capacity of 24,000. The first car off the line will be the new Land Rover Discovery Sport, which will debut next year as a successor to the Freelander (sold as the LR2 in the U.S.). JLR said that construction of the Brazil plant, which is in Itatiaia, in the state of Rio de Janeiro, would start at the end of the year at a cost of 750 million reals ($304 million). Production will likely start with kits imported from the UK, said Richard Else, who is director of Land Rover’s plant in Halewood, England. JLR CEO Ralf Speth confirmed earlier this year that the company also has started talks to open a plant in Saudi Arabia. In addition, JLR has neither confirmed nor denied media reports that it is looking to build a U.S. plant.